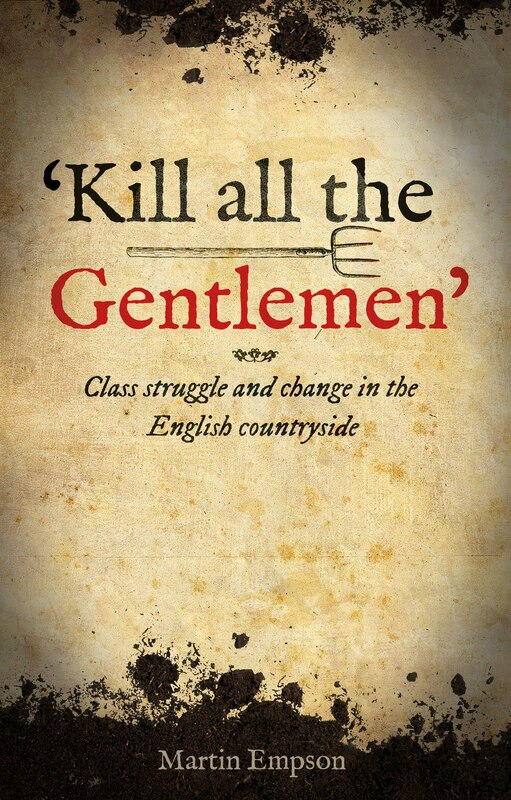 This is an important work of history which reminds us of the extensive class battles that took place between some of the poorest inhabitants of rural England and government and landlords. The book also challenges some commonplace views of English agrarian history, about the role of artisans within peasant rural communities in the period. A depression by itself created more frequent and more severe disorders than a single bad harvest; as the exception case of the yeas 1594-1597 illustrates, more than on bad harvest was required to deplete food stocks and produce major rioting. The most serious situation was a depression during which a harvest failed: under such conditions, as in 1630, social problems were heightened to critical levels...One is led to agree with EP Thompson's conclusions about the eighteenth-century crowd: food riots were no... spasmodic outbursts of mindless rage or mere cloaks for criminal behavior, but were, rather, disciplined forms of popular action. Too much emphasis on the notion of a moral economy of the crowd can lead to an overly sentimental view of the life and behavior of the poor and can obscure the reality of the pain, desperation and anger they felt in times of depression and scarcity. "Necessity hath no lawe" as one document sent to the mayor of Norwich complaining about the high price of grain and the greed of the rich has it. 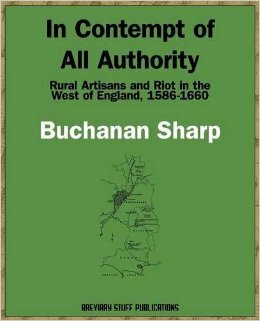 Partly in response to demands from the poor and partly to try and prevent further riots, the Elizabethan and then Stuart governments issued a Book of Orders on several occasions, this was an attempt to govern the sale of food at affordable prices. Restrictions on the export of grain and the brewing were also used. However the government was able to do very little to respond to the economic crises that were causing destitution. If the demand for cloth in Europe dropped there was not much more that could be done except to plead with merchants to buy more cloth and offer limited relief to the unemployed. It is easy however to criticise the failings of Tudor and Stuart governments. Sharp notes however that while they could not produce miracles, they did seem to be able to transfer grain to areas with shortages. He concludes though that this was because "the hungry and unemployed in the economically more developed South and West who rioted and thereby gained the Crown's undivided attention". Areas that didn't riot, suffered more. 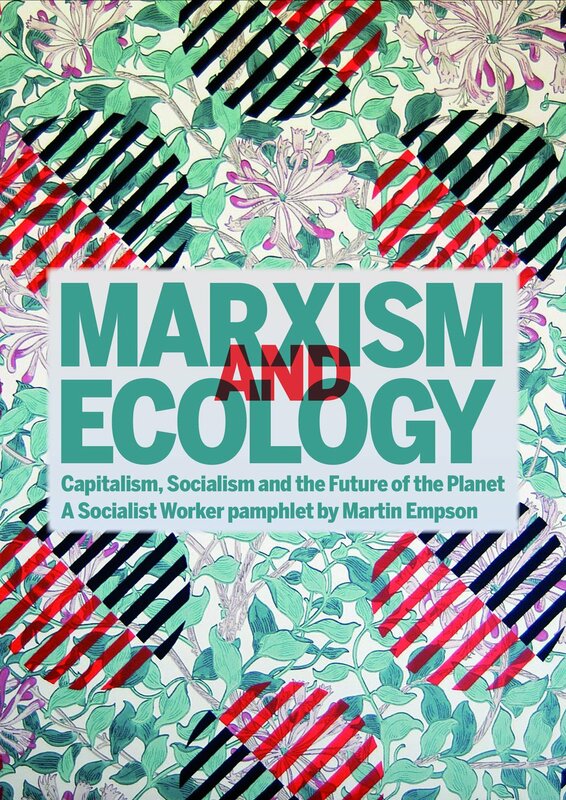 Rioting was also the key response to the question that takes up the bulk of Sharp's book, which is the enclosures and disafforestation of the Crown Forests in West England. In particular he looks at the Western Rising, a prolonged period of unrest and repeated riots against enclosures that took place from 1626-1632. At the time the governments thought that these riots were the work of agitators from among the more well-to-do sections of rural society. They could not believe that ordinary people would organise in the way that they did. During the Western Rising, the habit of some of the male rioters to dress in women's clothes and call themselves Lady Skimington, resulted int he government searching across the country for the Skimington responsible for the multiple outbreaks of criminal behaviour. There was a common pattern to the rioting. Short of money, the Crown decided to parcel up the land. This they did through a process that Sharp calls "enclosure by agreement", this meant negotiation with the better off tenants and landowners and usually the provision of some land for the poorest. The poorest relying on the land for wood, resources, animals etc. This enclosure was often challenged legally, with the better off tenants trying to argue (and frequently winning) more land, based on historic use etc. Once the better sort had divided up the spoils, the rioting started. Fences were torn down, frequently on a huge scale. Those that rioted rarely overlapped with those that went to court as Sharp proves through detailed examinations of historical records. It should be no surprise that the poorest couldn't afford legal redress. Many of those who rioted had little or no land, and were engaged in the cloth industry, and, in the exceptional case of the Forest of Dean, the mining industry. It could... be argued that there were two types of forest inhabitants, those with land who went to law to protect their rights and those with little or no land who rioted to defend their interests. The bitter irony of disafforestation was that those people most dependent on the forest as open waste either had no legal title to the rights of common they exercised and thus no valid claim to compensation, or the tenements for which they had a valid claim to common were so small that the compensation received was minuscule...one of the misconceptions integral to the orthodox interpretation of disafforestation is that all inhabitants in and around the forests had legal rights of common that they lost... this view simply ignores the cottagers and assumes that forests were inhabited only freeholders and substantial copyholders. Sharp challenges other traditional views. Those who led the riots were artisans, not peasants. 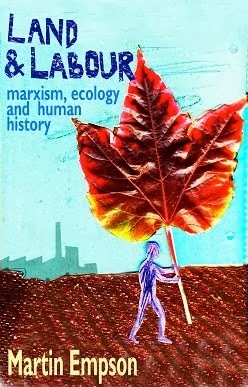 Their industrial labour was not a "by-employment" of people engaged predominately in agricultural work. These were people who were completely reliant on their work in the textile industries (and occasionally other work such as mining) and had yet to become part of wider, wage labour practises that were dominating elsewhere. Nor was this labour "urban". There were no urban centres near these forests. As Sharp points out, there were significant numbers of people without land. One study of the village of Brigstock in Northamptonshire near Rockingham Forest in 1596 shows that only forty percent of householders had land to farm. As Sharp concludes, "the cottagers had ceased to be peasants and had become members of a rural proletariat". This growing rural population would have an increasingly effect on the English economy. But in the period covered by this book they were the people most likely to fight back to prevent, limit or reduce enclosure of Forest lands that they needed to protect their livelihoods. We can have no better summary of the class position of those who rioted, as that given by Thomas Yerworth, a yeoman, who said in 1631 of the rioters in Dean, "All the persons that ever he could heare of that were in the said accion were very beggerly and naughty people and such as he never saw or tooke notice of". Sharp's book follows the story through into the Civil War period and the Restoration. Drawing links between struggles during the Wars and previously. Rarely do the population take particular sides in the Civil War, but their struggles are shaped and conditioned by the nature of that conflict and the factional political interests. There is also some overlap with the Clubmen who fought as neutrals to defend land and crops from both sides in the conflict. In conclusion this book is an important work for those trying to understand the rural population in England in the era before capitalism and urban industry came to dominate. It combines excellent scholarship and brilliant studies of ordinary people fighting for justice and deserves a wider readership.